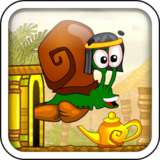 Snail Bob: Egypt Journey – Games for Android 2018. 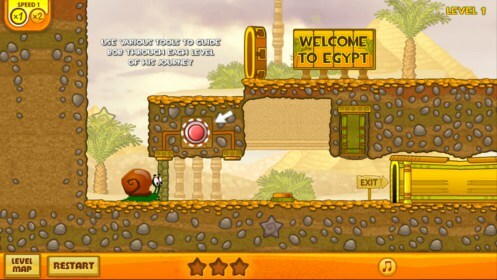 Snail Bob: Egypt Journey – A kid friendly, goofy maze game starring a snail. 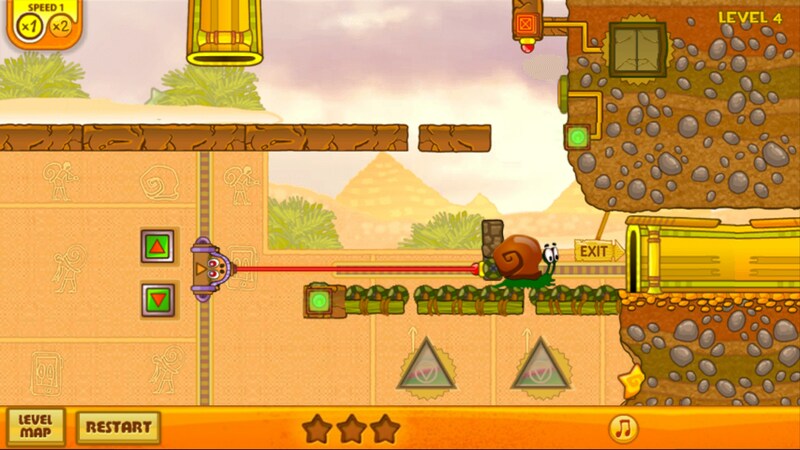 Snail Bob 3: Egypt Journey for Android is a goofy, platformer style puzzle game that presents a series of single screened obstacle courses to traverse and conquer. 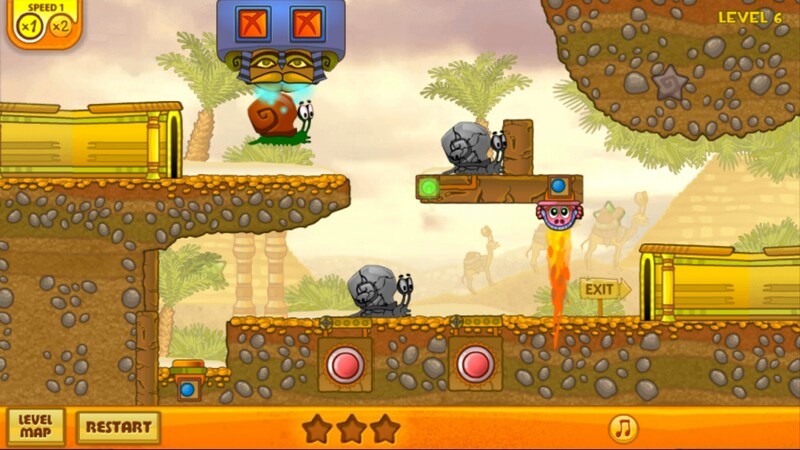 Each one has an Egyptian theme and stars a wacky looking snail. Nope, it makes no sense but delivers some modest fun, to be sure. Snail Bob 3: Egypt Journey displays in landscape to deliver a rather rudimentary looking game that needs a little polish. 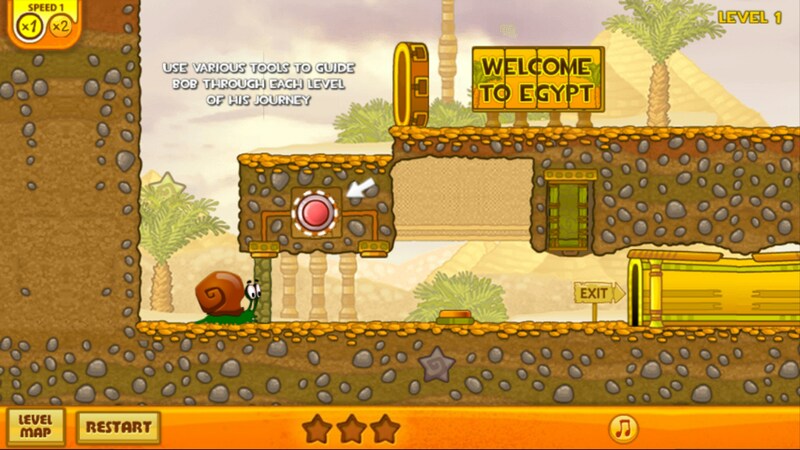 As the story goes, there's a little snail named Bob and he's traveling through Egypt; don't fight it or try to intellectualize things, just roll with it. Ok, so our pal Bob the snail wants to get from point A to point B, which in this case, is a tube entering and exiting the scene. 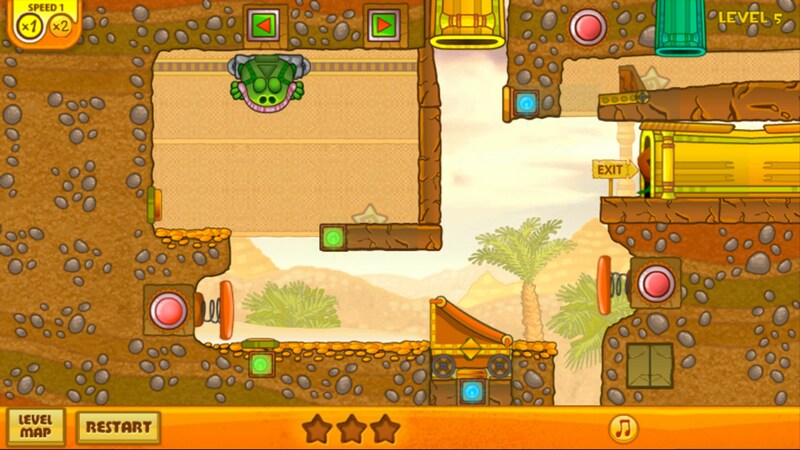 The trick is, there's different levels, springboards, rebounders and moving platforms. All you gotta do is figure out the right sequence of triggers to get dear ol' Bob to leap, bounce, bound and rebound through the landscape and make it safely to the exit tube, where we meet up again in the next level and do it all over again. 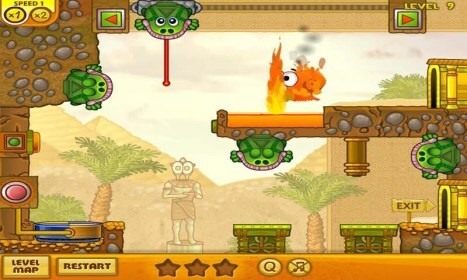 Each level brings something new to the table and the play is modestly challenging, relying heavily on trial and error and repeat tries to get it right. The controls are simple enough; just taps and pokes to engage the various triggers. The graphics are decent but in need of some modern refinement; as it is, they come off a tad crude. The animation isn't the greatest; it renders well but feels a tad plodding and slow. The sounds are sparse, offering minimal effects and nominal reactions, along with some comical screams from Bob when he gets into trouble and messes up. 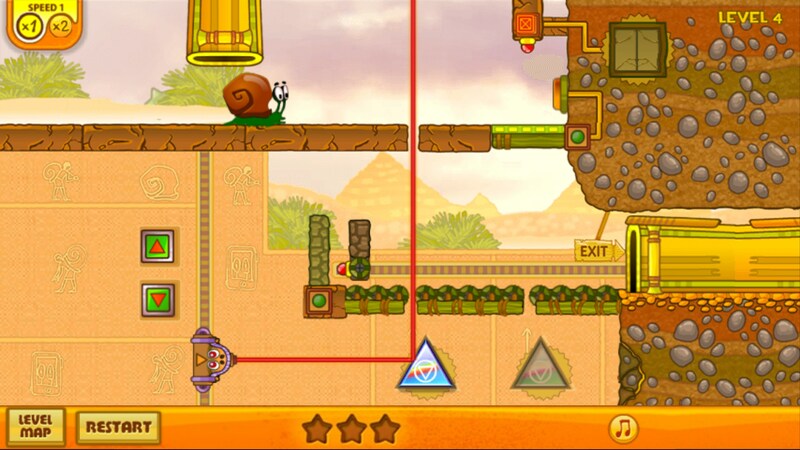 Snail Bob 3: Egypt Journey has lots of levels to work through, so if you get bit by the bug, it'll keep you busy a good while. This one is decent, not great, and likely best relegated to little kids.